Oh, boys! 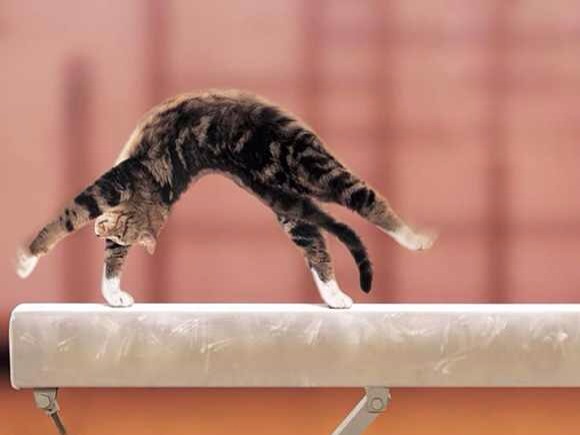 I sure hopes that I can sticks ther dismount! Oh, rights! I'm a cat. We is born gymnasts.